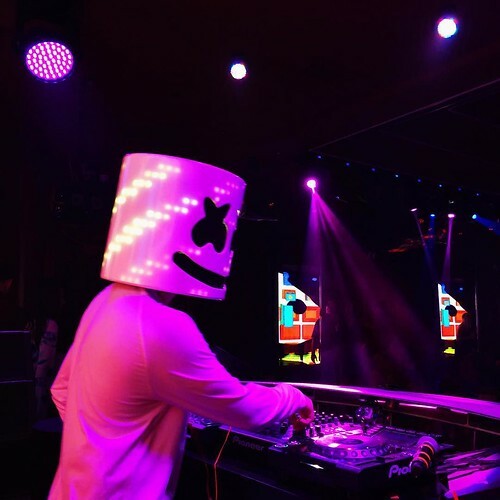 Marshmello presented the Tell Me video, directed by Karl Jungquist, saying that it is “a reminder to always support your friends”. It is precisely some of his collaborators who are present in this videoclip, such as Anne-Marie, with whom he recorded Friends, Logic, with whom he made Everyday, or his friend Slushii. Also doing a cameo is the singer Paula Abdul, with whom she had published a cooking tutorial. In this new release, the producer and his friends participate in a talent contest at an institute. The masked artist is the one who supports them when they are discouraged by not receiving good scores from the jury. Watch the video ( Marshmello – Tell Me ) and tell us what you think!